Here’s something I finished a little while ago! 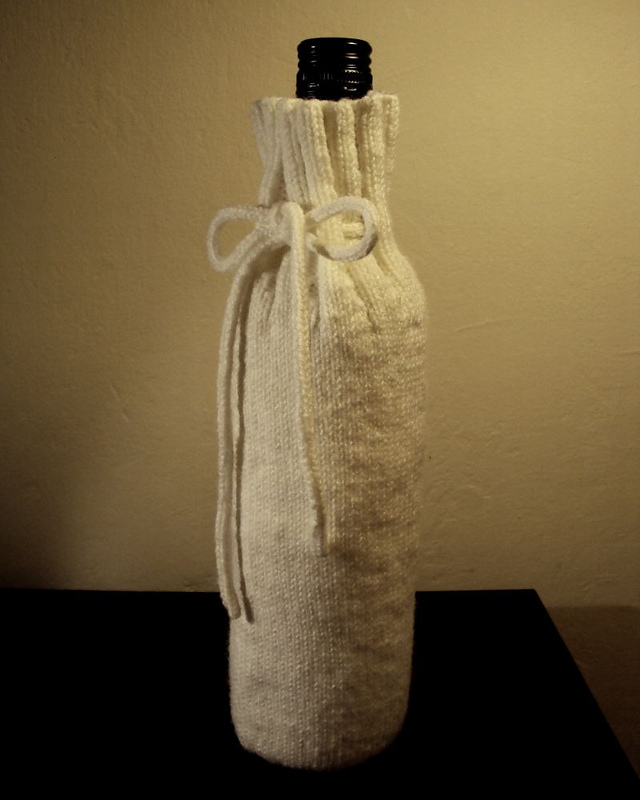 It’s a wine bottle cozy, for gifting that extra special bottle of vino! Not too happy with how the picture turned out, but very happy with how the cozy itself turned out. Inspired by this pattern on Ravelry by Tara Mercer.